Charles Mortimer played Dr Stronetz in "The Death Trap", at the Strand Theatre, London, on 14 April, 1940. This was a Green Room Rag production for theatrical charities. Also in the cast was John Laurie. 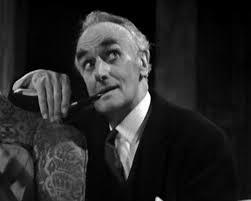 John Laurie, who was in the film, "The Thirty Nine Steps", with Madeleine Carroll and Robert Donat, would gain fame for his portrayal of Private Fraser in "Dad's Army", on television.